Jax Commissary Kitchen consists of six prime acres of storage space, including 12,000 square feet of climate controlled kitchen area, dry storage, and office space. Our facility is conveniently located at the corner of I295 and Atlantic Blvd, and provides easy access in all directions. Client photo gallery, with members receiving customized pricing to fit their needs, and budget. 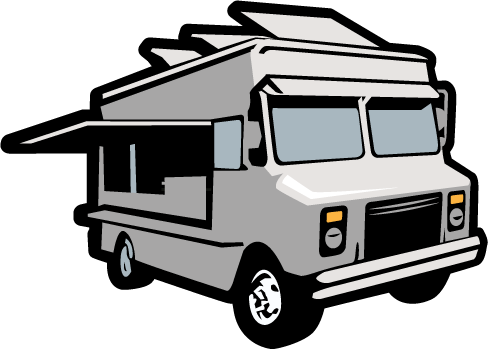 FOOD TRUCKS, HOT DOG CARTS, RECESSION TRAILERS, OUTSIDE PARK & PLUG, UNDER COVER PARK & PLUG, COMPLETELY ENCLOSED PARK & PLUG, PRIVATE CUSTOMIZED DRY STORAGE UNITS, GREY WATER DUMP STATION, GREASE DISPOSAL, FRESH VEGETABLE DAILY DELIVERY, ICE, FREE CLEAN WATER, AND DPR LICENSING. Jax Commissary Kitchen also provides catering for for community festivals, sporting events, family reunions, weddings, graduation, outdoor, and tailgate parties. Bio: Jax Commissary Kitchen offers state certified kitchens, and storage for mobile food vendor trucks. Electric and water hook ups are available, as well as our full service kitchen, prep area, and dish washing facilities. For more information please call (904) 641-7500.